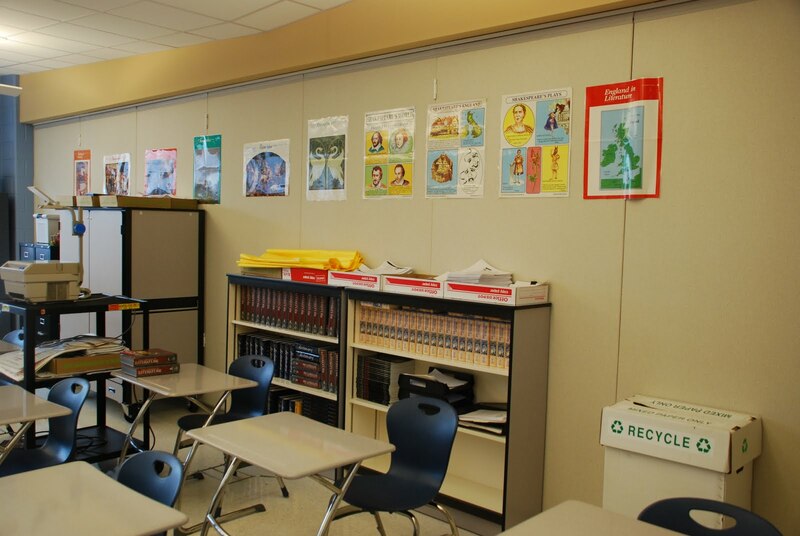 A depressing sight spotted in a school.... a wonderful flexible wall that clearly is not used. Has it ever been? Not only is furniture that looks pretty permanent piled up against it, but the display is even posted over the joins. It made me wonder if it had ever been used since installation. The whole point about these is flexibility, and staff being able to create a range of spaces as and when they need them, for team teaching, integrated lessons and so on. In many schools there are many staff who would welcome the opportunity to use this design feature. As a Head I banned staff from blocking movable walls and ensured that staff who were likely to use them were timetabled for those rooms. This does not always happen. One Headteacher in another school told me that he had a Head of Department wanted to use a classroom for himself that happened to contain a movable wall, but told him that he would not be touching it. What makes this story sad is that there were other staff in the same department that wanted to have movable walls between rooms to work in a more collegiate collaborative way some of the time. They also wanted to work in more traditional ways at times. That's the whole point of the movable design!! Question, who was running this school and where was the strong leadership? Good quality, acoustic, flexible walls are expensive and so need to be designed in carefully. It is a crying shame and a real wasted opportunity when enthusiastic staff are discouraged from being able to use them creatively.